Welcome to The Nappy Shop blog! Find helpful and informative information related to all things about nappies, babies and practical parenting. When the time comes to start thinking about all the baby gear, clothes, bits and pieces you will need to prepare for your baby’s arrival, the list can seem somewhat endless not to mention the costs involved in acquiring everything you will need for your baby to exist comfortably just for the first three months alone! In this blog post we outline everything you will need to prepare for your baby’s arrival and how to budget for it. We also have some helpful hints to prepare for maternity leave. The list of things you will need to acquire in preparation for the arrival of your bundle of joy can seem overwhelming at first ie; prams, clothing, feeding and nursing stuff, traveling stuff and it seems like the list just goes on and on! In our preparing for baby checklist we have summarised all the essentials you will need to prepare for your baby’s arrival including clothing, change time, bath time, getting the nursery ready, nursing and feeding. 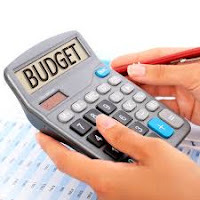 We found a good budget planner from the My Money website. You will also want to take into account any changes to your household income, such as half or no pay maternity or parental and the duration. This parental leave calculator will help you work out all the changes to your income plus it also guilds you on what government benefits you may be entitled to. Tip: Have your baby shower early so you know what is still left to get. Arrange for the hand-over of any equipment etc. Preparing for your baby's arrival is an exiting time and with good planning and preparation the task will be fun like it should be instead of overwhelming and stressful. Use our preparing for baby checklist to find out everything you will need to obtain before babies arrival, prepare a budget so you know exactly where you stand financially and make a plan of action in the lead up to your maternity leave to ensure a smooth transition for yourself, employer and co-workers. Happy Planning! In our next blog post we will outline everything you will need for your hospital stay while giving birth. We will summarise this in a handy hospital checklist of what to include in your pre-packed hospital bag for yourself, baby and support partner. We pride ourselves on customer satisfaction, friendly staff, quality products and low prices. We want to share all our knowledge we have gained over the past 13 years with you through informative blog posts.